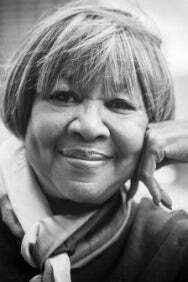 We do not curently have theatre tickets available for Innervisions Festival Presents - Mavis Staples. This could be because we have simply sold out or it could be that this show is no longer running. The information on this page remains purely for historical and informational purposes. Mavis Staples' recording career spans from the 1950s to the current day. In the '60s her band The Staple Singers were heavily aligned with the burgeoning American Civil Rights movement, she also dated Bob Dylan for many years and her songs have been covered by The Rolling Stones. Throughout the '70s Mavis had huge hits with tracks such as Respect yourself, I'll take you there& and Let's do it again. &Mavis Staples is widely credited as one of the greatest Gospel Soul voices of all time. She is a Hall Of Fame inductee and had a huge UK hit Nina Cried Power& last year with Hozier. Following two sell out dates at Innervisions 2018, Mavis is back in 2019, by popular demand.